UPDATED: Tue., Dec. 12, 2017, 7 p.m.
Providence St. Joseph Health, the Renton-based owner of Spokane-area hospitals and clinics, is in talks with Ascension Health of St. Louis about a possible merger, the Wall Street Journal has reported. If the two Catholic, nonprofit health systems merge, they would create the nation’s largest health system with 191 hospitals in 27 states, according to a Sunday WSJ article. A source with knowledge of the merger talks told The Spokesman-Review the discussions have been going on for months, and Providence officials could decide by late December or early January if they want to pursue the deal. A Providence St. Joseph spokeswoman declined to comment Tuesday, and Ascension did not respond to a call and text seeking comment. 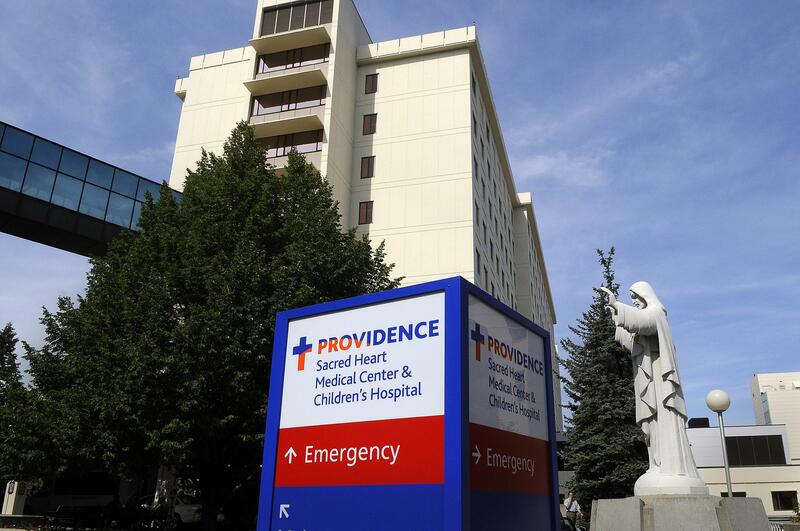 Providence St. Joseph is the parent organization of the health system that operates Sacred Heart Medical Center and Children’s Hospital, Holy Family Hospital and associated clinics in Spokane. Mt. Carmel Hospital in Colville and St. Joseph’s Hospital in Chewelah also are Providence facilities. Providence St. Joseph is the smaller of the two health systems, with 50 hospitals, 829 clinics and 111,000 caregivers, according to its website. The health system operates in seven states, including Washington, Oregon and Montana. Ascension describes itself as the largest nonprofit health system in the U.S. and the world’s largest Catholic health system. It has 141 hospitals in 22 states and the District of Columbia, according to its website. Providence St. Joseph was formed through an earlier merger of two Catholic hospital chains. In 2016, Providence Health and Services merged with St. Joseph Health, of Irvine, California, becoming the nation’s third-largest nonprofit health system. Published: Dec. 12, 2017, 3:36 p.m. Updated: Dec. 12, 2017, 7 p.m.